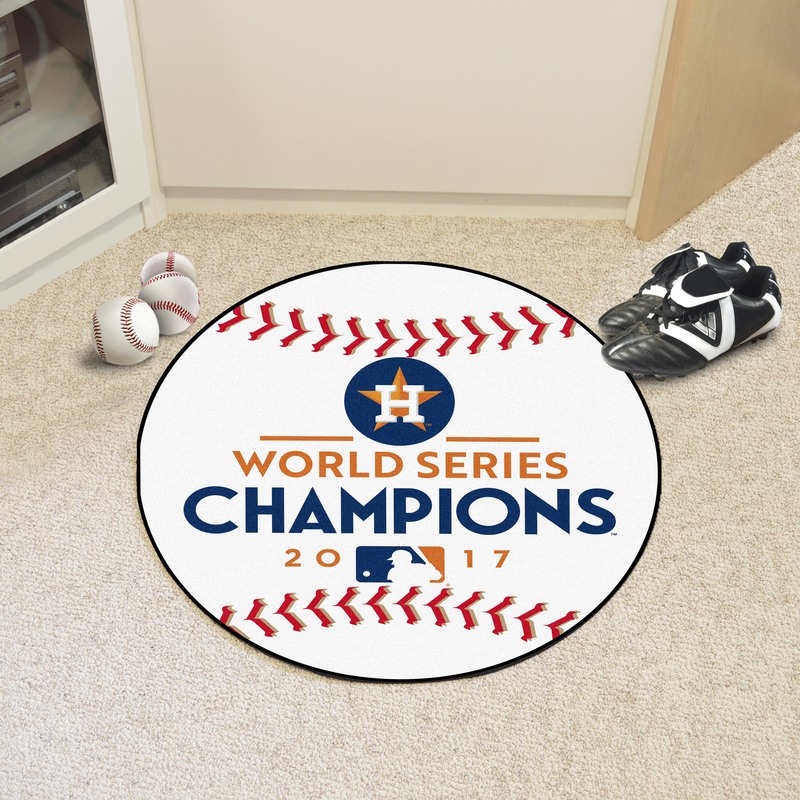 The nylon Houston Astro 2017 World Series Champions Round Area Rug is ideal for the house supporting their favorite baseball team's run to the championship. 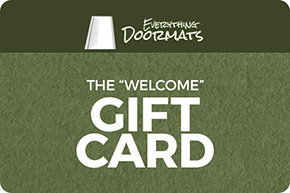 These round shaped area rugs are unique in shape unlike the other normal rectangular rugs & mats. This area rug is a striking addition to your home and will show your family, friends, and neighbors that you appreciate the effort of the Houston Astro to put forth their best effort and bring home the championship. This round area rug also brings both brilliant functionality and welcoming sturdiness to your home. 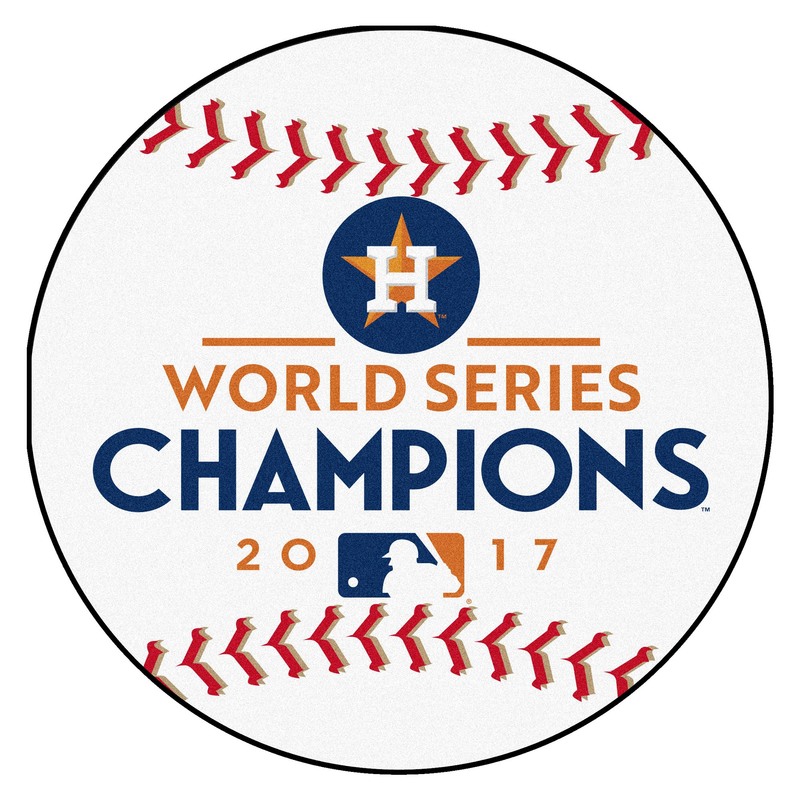 This Round Houston Astro 2017 Baseball World Series Champions Area Rug comes in a 27" diameter size. *Note: This mat will be stocked for the first few weeks after the World Series and so will be shipped within 3-7 business days. For the remainder of the year, as we carry 5000 different styles of sports mats, the mats are manufactured when they are ordered so production time is 7-12 business days.